According Sony’s sr. product manager Chris Brown, the low UK sales numbers for Rise of the Tomb Raider, might have something to do with Microsoft’s poor release timing. Interestingly enough, Driveclub’s game director Paul Rustchynsky points out that the game will do “just fine”, when it releases on the PS4 next year. Rise of the Tomb Raider on Xbox One, released on the same day as Bethesda’s Fallout 4. While recent numbers indicate that Fallout 4 has sold amazingly well, UK sales numbers for Rise of the Tomb Raider are disappointing – the latest Tomb Raider instalment on the Xbox One sold less than 63.000 UK copies in its first week. According to Sony’s senior product manager Chris Brown, the low UK sales numbers for Rise of the Tomb Raider might well be due to poor releasing timing on Microsoft’s behalf. @pabosher hard to say. I think if anything it is simply down to its release timing – lots of BIG titles vying for space in people's wallets. Brown points out that releasing the game on the same day as Fallout 4, might have hurt sales numbers for the title. @jezpotter I think that's it: releasing the same week as Fallout. But when do you release it. COD/Star Wars/Halo 5 all back-to-back. Brown adds that a lot of big titles have been or are being released these weeks, including Halo 5, Black Ops 3, and of course the upcoming Star Wars Battlefront. According the product manager, due to the volume of big titles being released, players are checking their wallets first. Brown thinks that DICE’s upcoming Star Wars Battlefront will be cleaning up for the November month. @pabosher I think Star Wars is going to clean up. It's too big an IP not to. Being a timed Xbox One exclusive, Rise of the Tomb Raider will also be releasing on Sony’s PS4 next year, and game director on PS4 exclusive Driveclub, Paul Rustchynsky, pours some more salt in the wound by stating that the game “will do just fine” when it releases on the PS4 next year. 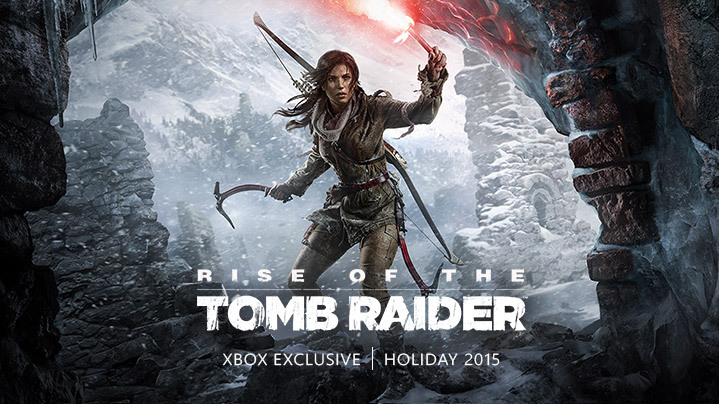 What are your expectations for Tomb Raider sales on the PS4 next year? What about Tomb Raider US sales numbers? Hit the comments below.